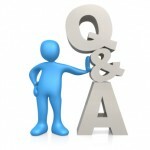 Here are some Answers to Frequently Asked Questions (FAQs). We understand that sometimes the process of getting a website can be challenging or intimidating for some people that’s new to the web. We’ve made the process easier for you by responding to some of your potential inquiries up front. If your question(s) aren’t answered here, feel free to give us a call: (646) 580-5835. 8501. Can you travel to our location? Yes. Some of our Clients require us to travel to their location to provide web development services on-location. Clients are responsible for our Per Diems: Roundtrip Airfare, Hotel Accommodations, Transportation and Daily Fee. Cost depend on the scope of the project. 7312. Do I need to have all of my content before you can start on my website? No. We can start on your website while you compile your content to send to us. In many cases we can also create content / copy for you. 7303. What are the various costs involved in getting a website? The various costs involved in getting a website depends on the type of website and features involved. A) The cost of the website. This depends on the scope of the project, or your budget. B) Hosting Fees. The cost depends on the platform required (Godaddy Esp. Shared Hosting $9/mth, Dedicated Server $150/mth). For the vast majority of websites a Shared Hosting account is more than adequate. C) Domain Fee (Godaddy Esp $10/yearly). A) Website Maintenance Plan, to keep your Website(s) fully updated with new content. B) Database Backup Plan, to have your website’s database regularly backed-up as a safety measure. C) Promotion Plan, to have your Website(s) promoted effectively for you. 5374. How long does it take to build a website? The time-frame it takes to develop your website depends on the scope of your project. Some websites can take as little as a few days to build from beginning to end. Some websites can take a week or more for larger projects. 5325. How many websites have you developed? We have developed 1,000s of Professional Websites for 1,000s of Clients all over the world. 5316. I want a website but I have no idea where to begin. Can you help me? Absolutely. We are Experts with over 20 years experience. We don’t expert our Clients to have all the answers. We can gather all the information we need from a simple friendly conversation with you. We will do all the hard work. All you have to do is tell us your ideas, and we will bring it to fruition. Simply fillout our Price Quote Form or Call Us: (646) 580-5835. We are available 24 Hours. 5307. Does it matter what city or state I live in? No. We have Clients in Over 85 Cities and 34 Countries. We can work on your project, regardless of your location. 5298. Can you start on my website Right Away? Yes. Fillout our Price Quote Form so we can get a scope of your project. We will read it and contact you to go over the details. Pay the deposit, and we will begin on your website. 5289. Can you help me maintain my website after you build it? Yes. You can join one of our 5 affordable Website Maintenance Plans, located HERE. 52710. What is the Client Center? The Client Center is a Support Center were Clients can: Update their Profile, Submit more information about their project(s), Submit Support Tickets, Pay Invoices, Upload & Download Files, Receive Coupons, Txt to Cellphone Notifications, and much more. * Customers that fillout the Price Quote Form are automatically registered in our Client Center. 36311. How much is the deposit? The deposit is half of the total cost of your project. 35512. Where are you located? We are located in New York City (Manhattan). We service our Clients World-Wide in Over 85 Cities & 34 Countries. 35413. What's your Hours of Operation? We are available 24 Hours – 7 Days a Week. 35314. What form of payments do you accept? We accept payments via our Secure Payment Gateway “PayPal”: Credit Cards (Visa, Mastercard, American Express, Discover, Diner’s Club, JCB) and NetSpend. * In some cases we accept Certified Checks. 34615. How do I get a quote on my project? Simple. Click the “Price Quote” button above, or Click HERE to fillout our FREE Secure Price Quote form. Upon submission we will review your information and call you to go over the details. After you fillout this easy form, you will be automatically registered in our secure Client Center, where you can submit even more information about your project. Available 24 Hours 7 Days a Week. We look forward to serving you. 34516. How much for a website? The cost of your website depends on the scope of your project (Esp. Features, Size), And Or your Budget.